Also: I am a master at nimble, melodious wordplay because THAT’S A PILLAR RIGHT BEHIND ME. Also: Because IT’S A PILLAR. And IT’S IN OUR SHOW. And OUR SHOW IS A COMMUNITY. 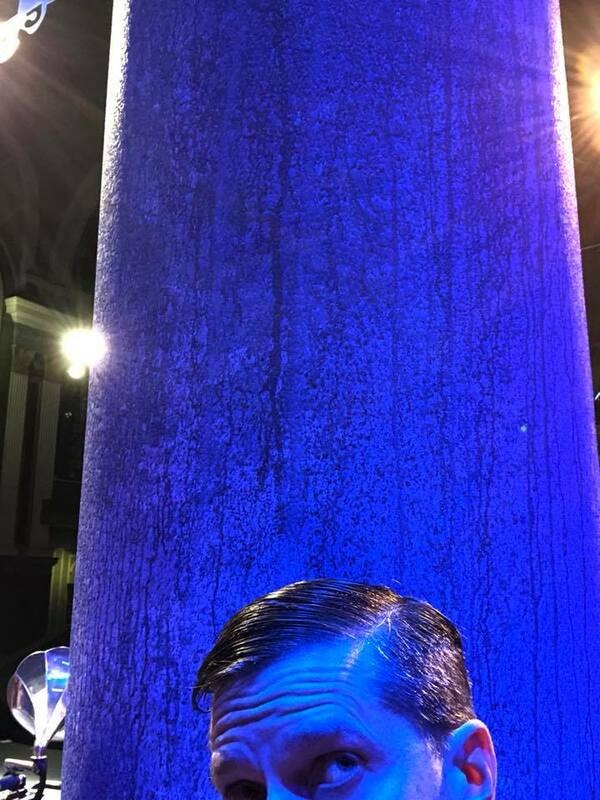 And I’M AT ONE WITH THE PILLAR. Also: My Edwardian-English-lord-and-gentleman-who’s-also-sometimes-a-suspicious-roustabout-so-watch-your-wallets hair part is SEVERE and RIGHT ON POINT and CEMENTED AND LACQUERED IN PLACE BY THREE DIFFERENT HAIR PRODUCTS PLUS SOME PLUCKY DETERMINATION SO IT’S GONNA LOOK THIS WAY UNTIL THE MIDTERMS. 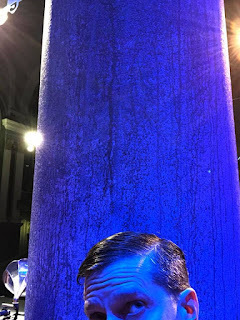 Also: WHICH WILL BE AS AWASH IN GORGEOUS BLUE AS THIS PILLAR. Because OUR COMMUNITY DEPENDS ON IT. Also: I hadn’t planned on bringing this beyond-weird Facebook post full-circle, but here we are.